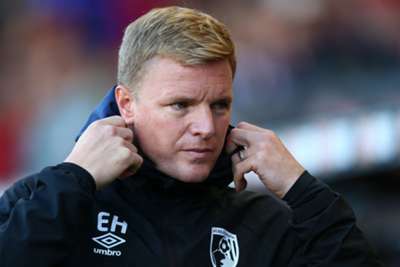 Two back-to-back Premier League wins prior to the international break had Bournemouth flying heading into Saturday's clash at the Vitality Stadium, but the Cherries failed to make the most of their opportunities in a goalless game of few chances. "We really didn't get going and we know we can play better than that," Howe told a news conference. "A draw is a fair result. "Southampton did make it difficult for us to get going and we have to look at ourselves, analyse why we didn't reach those levels. "We are frustrated that in a game of minimal chances, when they came we didn't take them. But Southampton could probably say the same." Josh King wasted Bournemouth's best opportunity, scuffing wide from close range, while Asmir Begovic did well to keep out a pair of Pierre-Emile Hojbjerg efforts. "I thought in terms of clear cut chances on the day, ours were obviously more clear cut and we had more potential to convert, but in the end it's a good performance," he said. "We've come to Bournemouth who are absolutely flying at the moment, but we came here with a plan and really negated their threat all afternoon. "They never really got any significant periods of momentum. They may have had a little bit of a go towards the end of the game, but for the most part we dealt with everything that they threw at us and we were always a problem going the other way for them. "I felt the performance deserved three points, but we'll take the point because it's a difficult place to come here."